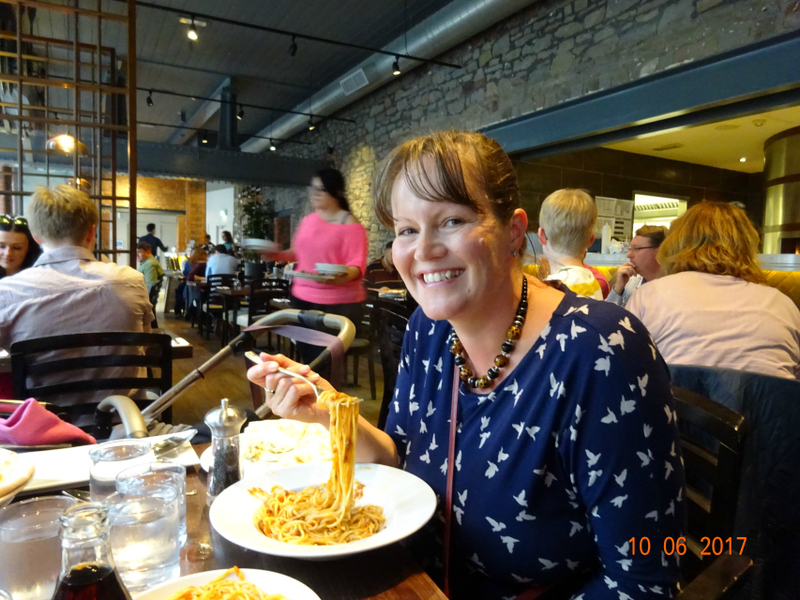 We reviewed a Prezzo restaurant the other day, namely the Bristol Harbourside Prezzo* branch as part of a team of BritMums' bloggers that were unleashed on Prezzos throughout the country to check out their new La Famiglia sharing bowl. Located in Anchor Square, the restaurant is next door to the Bristol Aquarium and @Bristol. Parking is available in the Millennium Car Park which can be found close by. 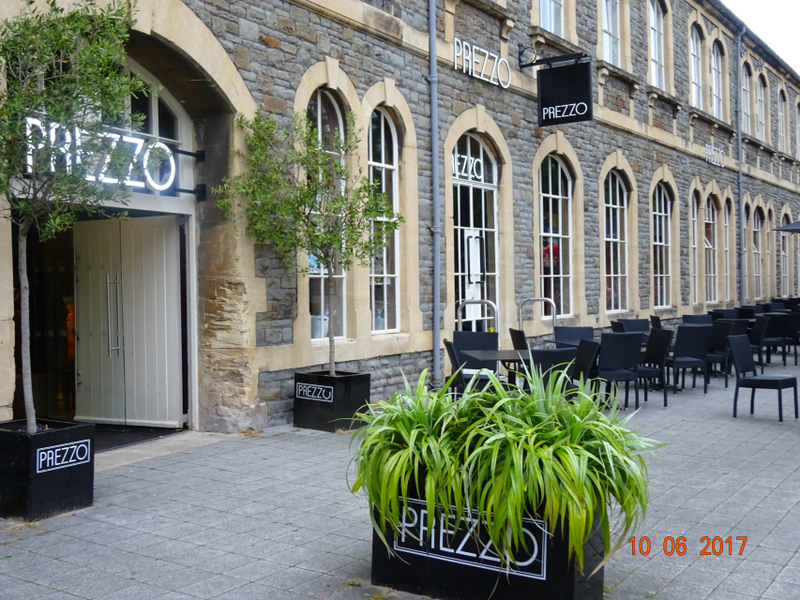 The building that Prezzo occupies in Anchor Square is known for its large circular brick chimney. The building was originally built in 1884 as a lead works. On arrival I was struck by the large outdoor eating area for al fresco dining perfect at this time of year and the visually impressive bar as we walked in. Bristol is known for its edgy slightly industrial grungy chic look so I can only think that is why this branch looks as it does. Totally different to any branch of Prezzo I've been in before, (like the Prezzo we ate in when we saw We're Going on a Bear Hunt) which to be honest are usually a bit more glamorous and open-plan interior design wise. I know I am not remembering them incorrectly as I've seen some of the reviews from the #PrezzoLaFamiglia blogging team. Some really gorgeous Prezzos out there. The Bristol Harbour branch is long and narrow a bit like the restaurant version of a galley kitchen. I sat on the seat outside our table, which was a big mistake as it was like a thoroughfare for both waitresses and patrons alike - I was effectively sitting in a corridor - but I could tell from the clientele this branch attracts it clearly isn't at all an issue for the locals. BUT our particular table did have ripped leather on the windowside seating and a wooden table that needs resurfacing. I think perhaps the branch is due a capex overview and a refurbishment - just a little tweak of a one. in your sharing bowl. 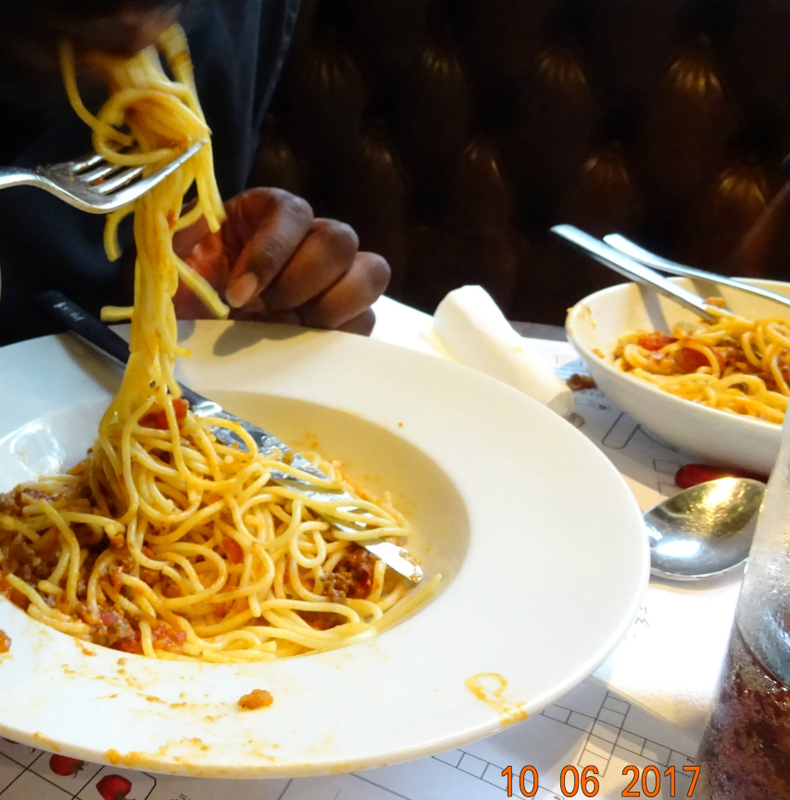 We'd actually had Carbonara for lunch, which was funny considering I haven't made it in about 7 years so we opted for the Spag Bol which was perfect as it is a real staple and favourite in Lottie's and Aaron's diet. They both love eating it home and away LOL. We got the 2 large garlic pizza breads that were part of our review arrangement and the 4 soft drinks that we were allowed. Judging by the experience of my colleagues if we'd ordered salad it'd have been complimentary but we weren't to know - would have looked nice in my photos though. But I digress. What I wanted to say is that the sharing bowl is a very reasonable £18.90. They did not give me a copy of the bill but we also had 4 icecreams in our BritMums professional blogging arrangement. When you arrive in a restaurant with kids you don't want to have to wait to be seated so we very conveniently booked in advance via bookatable.com which you reach directly through the Prezzo website. The feedback I would give though, is on there it says the La Famiglia is £18.90 per person which couldn't be right. La Famiglia feeds how many? It's advertised as feeding 4 depending on your appetite. What I would say is Daddy and 7 year old Aaron both had seconds, Lottie had 1 generous portion (for a 16 month old) and I only had chance to eat one serving as I was minding Lottie's table manners the whole time as Daddy gets very easily embarrassed when eating out. It's a good deal I reckon. We had that and 2 large garlic pizza breads. I guess it did well to fill us all considering it was dinner time and we hadn't had starters. The dough of the garlic bread was exceptional, but I'd say they need to be heavier on the actual garlic. We're used to shop bought and I found it lacking. Also, as great as the cut it all over the place look is, when you're looking at a baby with one eye and trying to grab a slice with the other eye it would be easier if it was cut in geometric regular uniform triangular slices that can be easily shared. I know tearing and sharing is more edgy but not when kids like to have exactly what the other one is having and you want to be able to see at a glance how many portions there are so you can share them out. Included in our blogging review deal we had an icecream each. I was very sad that the chocolate and sea salt gelato was out of stock - clearly it flies out the door. The kids both loved their icecream (strawberry for Lottie and chocolate for Aaron) and Daddy and I had sorbets. Daddy is not a sorbet sort of person at all but I took a chance and ordered it for him. He's a convert now as he discovered what we all know that they are VERY refreshing after a meal. 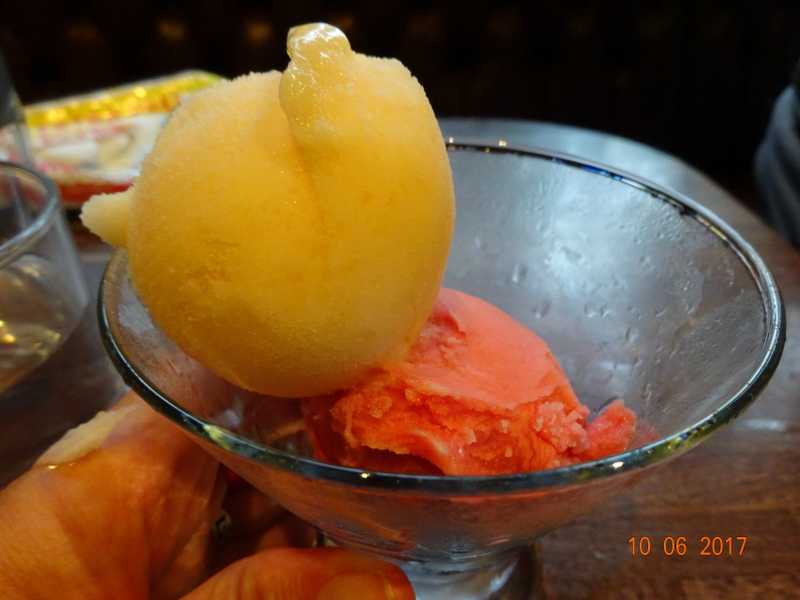 For the sorbet there is a choice of melon and lime or blood orange sorbet. As we got two scoops each we each had one of each flavour. Considering that 2 scoops is £4 I was extremely surprised that there weren't any additions to the icecreams. No sprig of mint on the top or wafer on the side. Nothing to make you feel you were in a premium dining establishment which until now I'd always viewed Prezzo as being. To be fair though I have been part of a team reviewing restaurants in the past and I remember seeing photos my colleagues had taken (of identical food) and yet being surprised at how much better the presentation was in the branch I'd visited so these things probably vary branch to branch. The spaghetti bolognese was delicious but I wish I knew it's better to have the waitress add the cheese to each of your individual portions rather than to the sharing bowl as a whole. Once you start using the tongs to share it out the cheese (and the bolognese) seem to get a little lost and all fall off. I brought Lottie's bib as I know from experience how messy eating spaghetti bolognese can be for children. Okay, I'll tell the truth I wouldn't have thought of it had I not read Forget Me Knit's Prezzo review and seen that they were wearing theirs :-) Oh how beautiful, airy, spacious and open-plan their chosen branch was! Aaron adored the meal, the icecream and the activity sheet. In fact he beamed most of the time he was there. He's always been a boy who loves eating out. Lottie can be fussy but dived into her main and dessert. 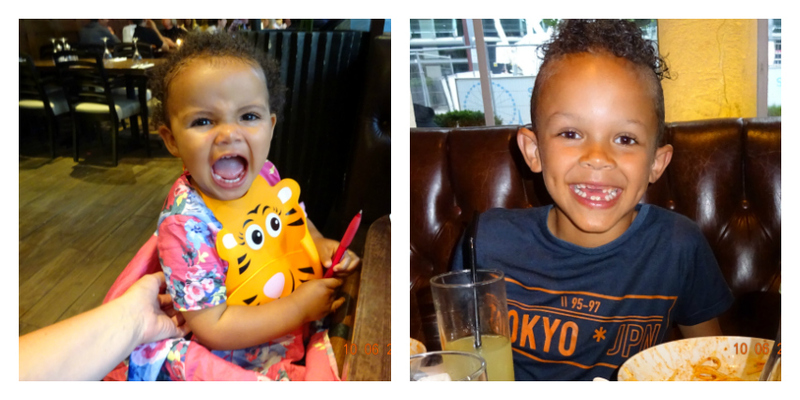 You'll know I am telling the truth if you watch my Vlog on youtube below :-) As easy as it is to order the La Famiglia sharing bowl, thus getting your food really quickly and knowing you all have the same, no time wasted browsing the menu, Daddy still took Lottie for a walk whilst we awaited our food. He is so worried about being embarrassed in restaurants, or anywhere to be honest. I'm with the kids all of the time when he's at work so I have experience the full gamut of things that can go awry and I'm over it. What was our evening like? Well the easiest way to answer this very question is to ask you to watch our vlog on youtube below. I was editing it till 1:30 a.m. last night. 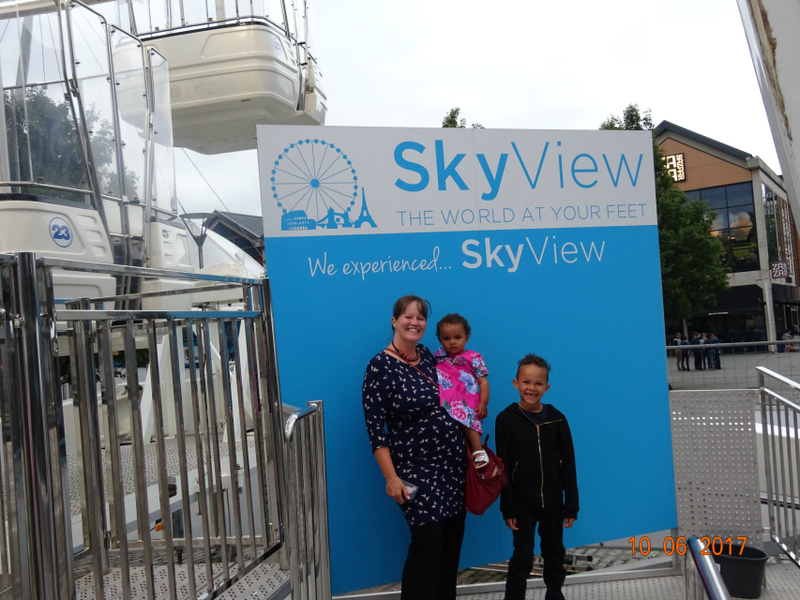 On 10th June the evening we visited Prezzo, I even went the extra mile, despite my overdraft and paid £15 for a family of four to add the Sky View wheel to our evening. Aaron was laying an egg to go on it despite having been on it before and I thought it would add a certain je ne c'est quoi to our vlog :-) Then Daddy wanted to wander around College Green like tourists, which we did, but by then it was raining.